[ Co-authored by Tim Denton ] The astonishing rise and rise of the fortunes of Google has been one of the major features of both social and business life of the early 21st century. In the same way that Microsoft transformed the computer market into a mainstream consumer product through its Windows and Office software products some 20 years ago, Google has had a similar transformative effect upon its environment. Not just search, but document management, maps, contextual information delivery and any number of other activities exert leverage using the Internet's potent combination of information, processing and communication. In any market in which Google has chosen to compete, it has acted in a manner that appears as if its goal has been to remove every blockage to the dispersion of information, and the elimination of every barrier to connection among people. In short, it looks as if Google is not seeking merely to dominate those markets as a normal market leader might. The result has been the removal of competitors through the destruction of the value of the grounds upon which the competitors stand. "In the end, the company profoundly underestimated the importance of software, including the apps that run on smartphones, to the experience of using a phone." Google provides a software platform that is used by close to 9 out of every 10 smartphone devices sold today. Yet the company has not monetized this astonishing position of market dominance. Google's annual SEC filings indicate that almost all of its revenues are derived from advertising revenue, and the Android platform, despite its almost overwhelming ubiquity in the smartphone world, does not generate any significant net revenues for Google. Another example is Google's Public DNS service. This service now resolves the domain name queries for more than 10% of the entire Internet population, yet it is operated without generating any visible revenue for Google. This has led us to a curious but reasoned inference, that Google is not always acting as a business in the conventional capitalist sense. It appears not to be seeking to maximize its economic leverage and to monetize its services in every market in which it is active. The company's motives at times appear to have a broader agenda, better described in social, even artistic terms, rather than exclusively business terms. From this perspective it appears that Google is acting more like a wealthy patron of a different age: perhaps as an aristocrat who engages artists, composers, architects and landscapers. 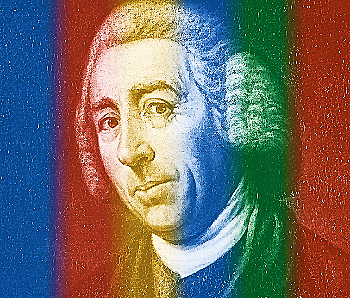 Google could well be designing new business models the way Capability Brown designed landscapes for large landowners of 18th century England. Dig out a shallow valley, run a stream down the middle, set a fountain in the pond, and have a Greek classic cupola to catch the eye at the end, plant trees and then let nature take its course. Similarly, Google is hiring very bright researchers, giving them an environment that contains a significant degree of autonomy and access to large scale resources, and challenging them to set the stage to let their ideas transform the world. If, in so doing, they terminally stress a few inefficient or outdated business models that they may encounter, then so much the better. From its financial filings in the United States, it is clear that Google draws most of its revenues from advertising, although the range of its business interests is vast. While making money is a strong motivator, the company's interests and actions appear to be equally devoted to the social transformational possibilities of its ventures, if not more so. So, while Apple, for example, apparently concentrates on the design of consumer products and services as a means of distinguishing their product in the market, Google seems to be aiming further in the design of entire social landscapes. The marriage of business and aesthetics is nothing new; but the scale of Google's vision is of another order of magnitude. One arena where we will see this play out in the near future is likely to be in the combination of wireless mobility and the Internet of Things. The wireline network access service is a commodity, low margin service these days, and today's investment models reflect this. Mobile services still enjoy considerable premiums, but once you have put a smartphone in every pocket the market starts to look quite saturated and further growth could be challenging. Now the gleam in the collective eye of these service operators is the marriage of so-called 5G services and device SIM tethering, which is this mobile industry's take on Internet of Things. But after Nokia's unfortunate experience, the question is: will Google leave them alone? Or will Google once more act as a disruptor and rewrite the business plan for much of the mobile industry and their 5G ambitions? This is a different model of engagement than what we've been accustomed to. Google approaches an industry sector that appears to have aspects that are inefficient or bloated, and engages in this space not for the purpose of dominating it and reassigning the revenues to itself, but to transform it and remove these inefficiencies. Google's competitive challenge appears to be to offer a service using breakthrough pricing or even a free service as a challenge to the incumbents. Take, for instance, the business of providing wireline residential access. This is primarily the reserve of the former telco and former cable monopolies. So why is Google Fiber in existence? What business goal is served by supplying Americans with access that is a thousand times faster than what they can get from the incumbent cable and telco access providers? Perhaps the goal here is not to compete with these cable and telco providers on their terms, but to rewrite the underlying industry service models and force the others to adopt this model by matching Google's offering in speed and price. But perhaps it's a bit more than an engagement over product and service pricing. Perhaps it extends into the underlying business models. To take the example of Google Fibre a further step, the traditional business models of both cable and telco wireline access markets consist of efforts to vertically integrate upward from the physical and transport layers into services. The physical infrastructure part of the business has always been integrated with the provision of services, because by maintaining an effective monopoly on access to the consumer, these enterprises were able to mediate and control the delivery of content to the customer. The innovation made possible by the Internet has been to detach such services from the underlying carriage service. This ability of the user to select content and services without reference to the access carriage provider has been variously called "net neutrality" or "permissionless innovation" by the overlay content providers and their customers, and, predictably, variously denigrated and demonized by the old world access carriage providers. At the same time the carriage providers have been in a desperate scramble to coral more content and reinforce the vertical bundles of carriage and content combinations. Whether the vertically integrated carrier will ultimately prevail over this newer form of communications is still not yet clear, or putting it inversely, it is not clear that the Internet model will prevail completely against the carriers' preference for closed end-points, vertical integration of services with carriage, and controlling the rate of innovation by controlling what passes through their choke-points. The challenge posed by Google Fibre is a challenge that is not just a simple price challenge, but a challenge to the very notion that the access network is an intrinsic choke point. This is a challenge to the very notion of the vertical bundle model in the access carriage model, and drives right to the heart of the access carriage enterprise. It is reasonable to suppose that the founders and owners of Google have benefited from the Internet model and, more pertinently, if they remain consistent with their previous actions, they will confront these traditional carriers by proposing alternate models to the ideology of squeeze, exclusion, and control. By "ideology" we also mean "business model", because it is both. At this time it's apparent that the Internet could be threatened from many directions: by nation states, by carriers, by its own fragilities. Yet it remains our view that the Internet's fundamental ideas will find an extremely powerful ally in Google. It may amuse them one day to launch a service that will completely undermine the business model of the last profit centre of the traditional telco, namely the mobile data service enterprise. And if one looks at today's Google Fi then perhaps that day may be very near. Remember Nokia? We do not claim that every action of Google can be explained by interpreting its behaviour using the metaphor of an aristocratic patron of the arts. That would go too far and be too rigid an analogy. We propose for your consideration, however, that this patron metaphor captures more effectively the scale and scope of Google's broader transformative ambitions for our society. Local Time: Thursday, April 25, 2019 09:13 AM PDT – Page Load: 0.3660 Sec.